Brisbane-girl turned Auckland resident, Caitlin Taylor was the first fashion blogger I met in real life. She was warm, friendly, encouraging and I immediately made her become my friend. Since then, she’s tied the knot to her handsome hubby Dean and late last year celebrated the birth of the very gorgeous Emmie. Cait started her blog, Chasing Cait, back in 2010 while juggling retail work and personal styling while also being halfway through a Masters in journalism as a way to combine her two loves: fashion and writing. Good one! I use this question with clients, I get them to tell me three words that they want to use to describe their style – mine are feminine, relaxed, edgy. Has becoming a mother changed your style? Initially yes, I currently live in feeding singlets and PJ pants haha. But I ultimately think not. 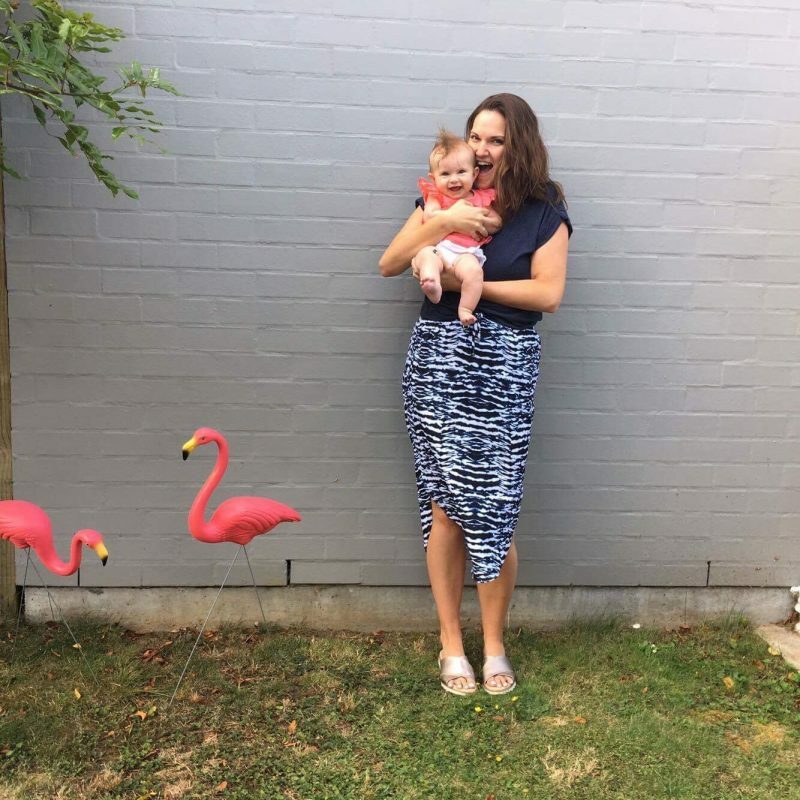 My style was quite relaxed and focused on comfort before I had Emmie, so I think it will continue to be like that J I’m a firm believer that becoming a mother shouldn’t change you in ways you don’t want it to. What wardrobe staple could you not do without? Statement necklaces!! (they are a staple right??) but also a great pair of black ankle boots are a MUST HAVE for my, particularly living in Auckland. I wear them 9 months of the year. Sacha Drake will ALWAYS have a special place in my heart, her designs are just so timeless and flattering. And she REALLY thinks about us all when she is designing – I’ve seen her do it a million times! I’m also really loving Decjuba at the moment for everyday wear – so many breastfeeding-friendly styles there are the moment that aren’t actually breast-feeding clothes (which, let’s be honest, are not the most stylish clothes most of the time? Blake Lively – although she does an UNREAL job on her own, I’m just saying that so I can meet her and become her BFF. Follow Cait on Instagram here, Facebook here, shop her online store, Cait & Co, here and give her blog some love here.